But what to do when we forget our mobile phone pattern lock???? graphical pattern for their lock! there are many people searches on google for "How to unlock android phone pattern lock without losing data "
...... People search new ways to remove pattern lock without losing data. photo etc which tends difficult to face and is something which we like to avoid. NOTE: TO performed below pattern unlocking method your Mobile must be have USB Debugging Mode Enabled. 1. 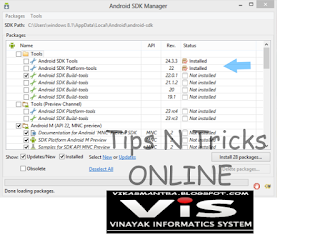 Download and install Android SDK Tools from Link. 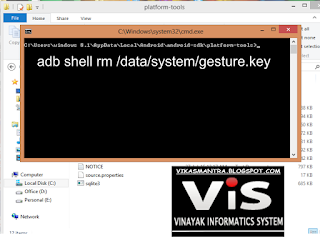 It is important to run ADB commands. 3. Now open it and check only Android SDK Platform Tools. Uncheck other packages and click on install packages. 4. One more important thing is that your android mobile should have USB debugging enabled. If its not then this trick will not work on that device. 1. 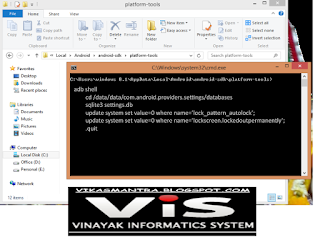 Connect your locked android mobile device with your PCor computer or laptop via USB. 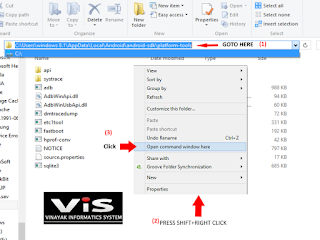 then click on blank space hold shift and click right mouse button and select open command window here. 4.After that reboot your Mobile. this is very nice post and this is very good information about the seo digital marketing is achieve the good economical level in so many number of business industries.thanks for updating this information to us.